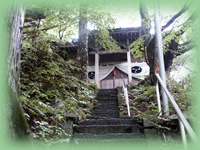 through the door and up the stone steps. 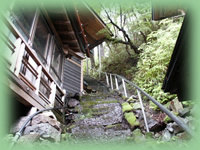 From the top of the steps you can see all of Kita onsen. 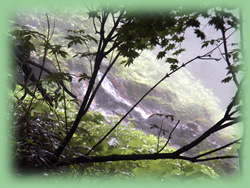 View of the hot spring waterfall. 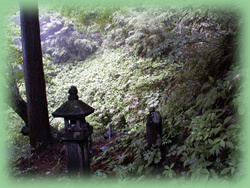 The stone lantern lighting the way to the jinja. 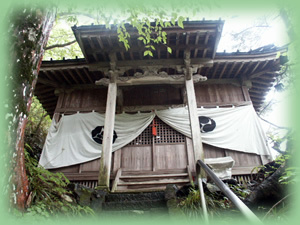 The onsen jinja dedicated to Kita onsen. 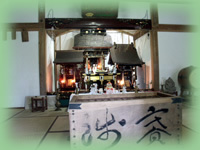 Inside view of the jinja. 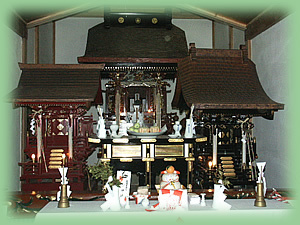 Close-up view of the shrine interior. 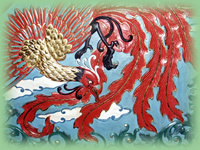 given during Meiji 20 (1887). 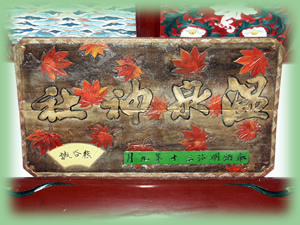 A votive tablet written in French. 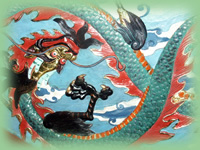 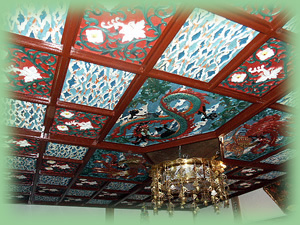 Ceiling in the style of Gotenjo (Nikko Toshogu shrine).